When combining the number of Americans who deal with Major Depressive Disorder (MDD) and Persistent Depressive Disorder (PDD), we reach a number of 21 million, or somewhere close to 8% of the population. Many people will have a co-occurring disorder as well – usually some form of anxiety such as generalized anxiety disorder (GAD), panic disorder, social anxiety disorder, body dysmorphic disorder, sleep disorder, substance abuse, chronic pain, headaches or others. The list of ailments that are all too commonplace in the United States is extensive. Individuals may start with generalized anxiety and develop depression, or have depression and develop anxiety or simply have them coincide. In fact, depression is the leading cause of disability worldwide. According to the World Health Organization, 1 in 13 individuals on the planet suffer from depression and a million people will take their lives each year. Yet, we don’t really know what causes depression. Chemical imbalance is a myth. Some people will say depression is caused by a lack of serotonin, others will say depression is a dopamine deficiency. Recent studies reveal it’s just not that simple. Over the past couple of years science and common wisdom caught up, and studies finally started to indicate just how connected our microbiomes (the life inside of our gut) is correlated to depression and anxiety. In fact, according to a study at CalTech, it is estimated that nearly 90% of our serotonin is produced in our digestive tract. Hippocrates said this 2,000 years ago! That could be the real reason we truly don’t understand the cause of depression- these microbiomes are so unique to individuals genetics and their lifestyles. In 2014, research was pulled from the FDA and placed into the public eye thanks to the Freedom of Information Act indicating that antidepressant medications worked mostly in part to a placebo effect. These findings showed that the FDA actually hid critical information from the public! That being said, many individuals do benefit from antidepressants and should consult with their doctor with regards to staying on or tapering off of these types of medications. However, exercise, lifestyle change (especially diet) and our endocannabinoid system may have just as great if not a greater impact on depression. The endocannabinoid system is our natural biological system composed of endocannabinoids. This system helps regulate mood, pain, our appetite, and even memory. Sound familiar? Those who experience depression often describe a blighted mood, a loss of appetite, physical and mental pain, and even report forgetfulness. It’s like someone switched their “vitality” light to the off position. Today, with CBD legal in all 50 states, individuals are experiencing natural relief from what is all too often a terminal disease. Not only are individuals reporting repaired cognition, but also improved motor function. Perhaps, with better access to CBD products that attach to our endocannabinoid receptor sites, we can naturally enhance our moods, minimize pain, and revitalize our lives. If you are looking to switch the vitality light back on, you may want to consider supplementing with CBD. Whether you’re interested in CBD oil or vaping, you’ll want to find out which are the best CBD oils for depression? 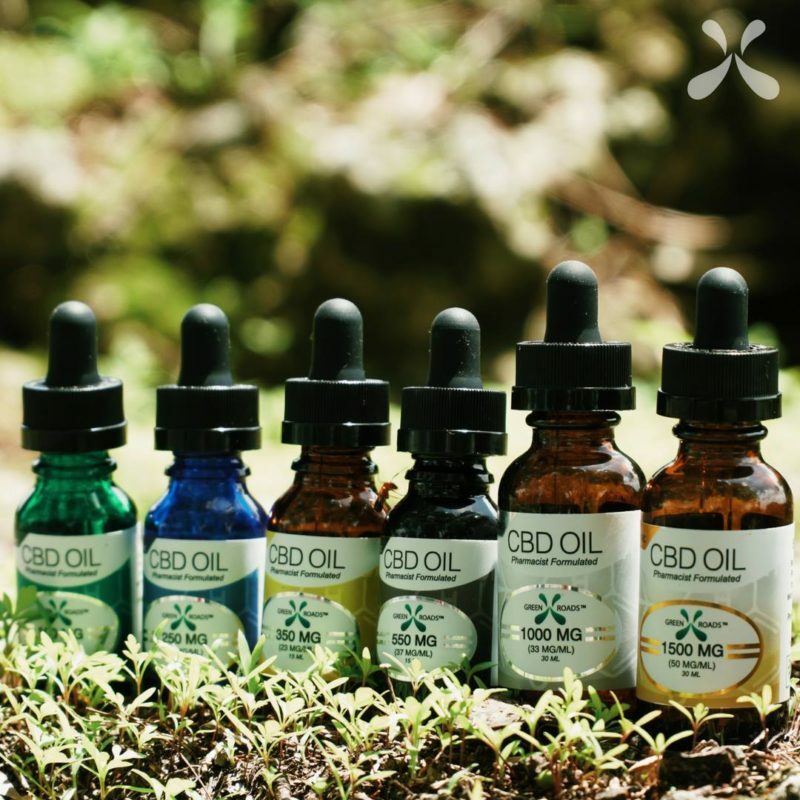 To select the best CBD oil, you’ll want to take into account a company’s hemp sourcing, CBD purity, and range of CBD oil products offered, as well as the range of therapeutic dosages. Because the industry is not regulated by the FDA, researching each CBD oil company is the only way to find a reputable and reliable source. 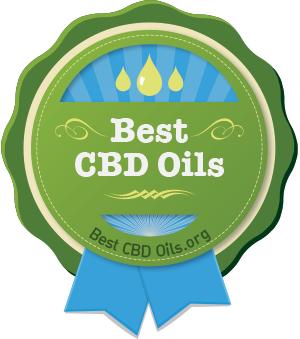 To facilitate your search for the best CBD oil for depression, we’ve researched and ranked the ten best options on the market using a number of metrics. Read up and discover the best CBD oil to support you in your fight against depression. Cannabidiol Life offers a huge variety of products. In fact, their online store has capsules, edibles, isolates, crystals, wax, dabs, salves, pet tinctures, and even infused waters. Customers require a range of selection as one size definitely doesn’t fit all when it comes to health. Users want different products to suit their specific health concerns, personal preferences, and lifestyles, and some users prefer to take advantage of multiple products, such as taking CBD capsules while at work and vaping at night. This is especially true in the case of depression which as we know has many facets. Many CBD users find that vaping CBD oil delivers the fastest results and allows them to monitor when they need support readily. Those looking to avoid smoke may prefer an oral transmission such as a CBD tincture- this method builds over time, and the general rule of dosing is to start small and build with experience, and with need. All of the many Cannabidiol Life products are made from hemp which is organically grown in Colorado, with CBD is extracted through “cradling” in organic ethanol. Many of their products also include beneficial herbal compounds, such as St. John’s Wort for mood elevation and arnica to fight inflammation and pain. The best CBD for depression in their wide range of products is the Cannabidiol Life vape liquid, tinctures, and capsules. 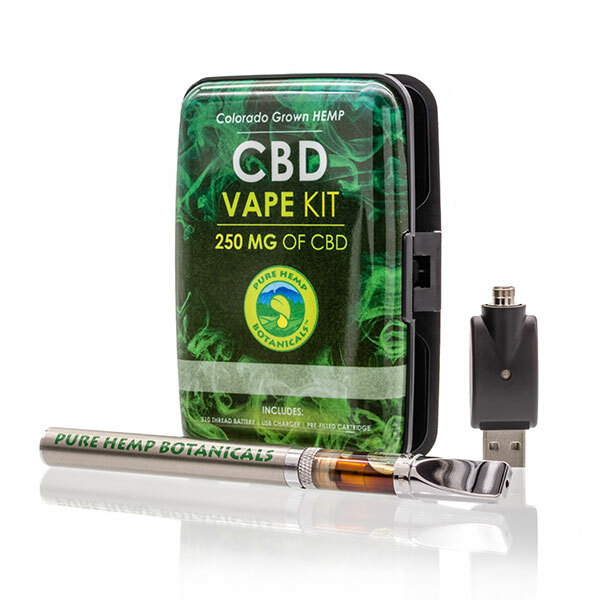 Cannabidiol Life’s 250 mg CBD vape oil is available in 15 flavors and can be used orally or with their disposable vape pen. As we mentioned earlier, CBD is not regulated by the FDA, meaning that research is key to finding a quality CBD product. Fear not when shopping at Pure Hemp Botanicals, which makes purity in their products and transparency their top priorities. The company welcomes you to view their labs through a virtual tour, and also publishes their CBD lab results directly on their site-guaranteeing quality “from soil to oil.” Their source hemp is non-GMO and organically grown in Colorado. Pure Hemp Botanicals employs a full-spectrum extraction process, sets purity benchmarks which exceed market standards, and incorporates synergistic botanicals into many products. One of the best CBD products for depression in their product lineup is Chamomile Lavender Hemp Tea. Lavender is a potent nervine (calms the nervous system), and chamomile supports the immune system which is often depleted when the body is depressed. The tea contains 30% organically grown industrial hemp and is naturally caffeine free. We recommend taking the tea nightly as part of an unwinding and relaxing regime to help support you through those long, exhausting days. We also recommend the company’s CBD tinctures for depression, which boast an array of plant cannabinoids and terpenes, along with antioxidants and omega-3 and -6 fatty acids. The tinctures are made from hemp seed oil and CBD in concentrations of 300 mg, 750 mg, 1500 mg, or 3000 mg per bottle. Our Recommended Product for Depression: Cahmomile and Lavender Tea and Oral CBD Oil Tincture with dosage based on user’s level of CBD oil experience. 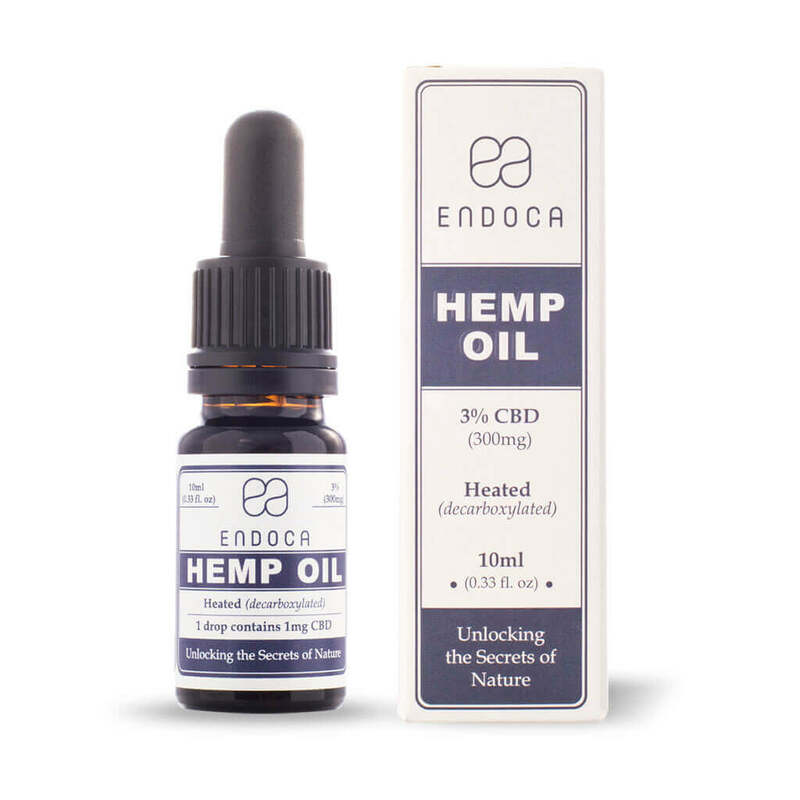 Endoca offers high-quality CBD products and even runs an associated nonprofit that has a hemp seed bank, an edible plant forestry venture, as well as a meditation and healing center Not only that, but the nonprofit is committed to distributing CBD to low-income families with health concerns. This family-owned company Endoca is committed to chemical-free processing and stringent third-party testing. They are also committed to transparency, making test results available to consumers on their website. Their source hemp is organically and sustainably grown on permaculture farms in Denmark, and their products are formulated by a team of scientists, herbalists, and nutritionists. Their manufacturing follows a GMP-certified (Good Manufacturing Practice) process. The best CBD for depression available through Endoca is their CBD tincture and capsules. The cold-extracted oral CBD drops have a mild flavor and contain 5-10 mg CBD per dose, along with terpenes, vitamins, ketones, amino acids, and phytonutrients to help naturally boost your mood, and overall cognitive function. The capsules are available as CBD or CBD+CBDa. The CBDa is thought to be anti-inflammatory, anti-nausea, antioxidant, and antibacterial/antimicrobial- meaning the capsules with CBDa would work well for individuals who experience pain along with their depression. Capsules are available in 300 mg or 1500 mg doses. Our Recommended Product for Depression: CBD Oil Dropsand CBD capsules, with dosage based on user’s level of CBD oil experience. Green Roads World is the official CBD oil of the NFL and has been featured on ESPN, Forbes, High Times, Herb, and NBC. Not only that, but their products have been endorsed by several professional athletes. So what does that have to do with depression? For starters, their organic products have the same potent healing qualities as other companies with a more holistic and wellness-focused image. Their products also feature holistic botanicals to aid in physical recovery. While that may be a top priority for athletes, physical repair can be a high priority for individuals who suffer from depression as well. When we examined depression and co-occurring disabilities we discussed how depression could take a physical toll for individuals who are incapacitated from depression and other disorders. We like Green Roads of individuals who are dealing with multiple ailments. Green Roads sources their hemp globally from certified organic farms, and subjects it to a high-pressure, low-heat CO2 extraction method. An experienced and licensed pharmacist compounds their products with pharmaceutical-grade, 99% pure cannabidiol, and cannabidiol oil. All their CBD is are third-party tested. Our top pick in their lineup for best CBD for depression is Green Roads’ CBD oil tinctures. There are offered in five concentrations: 100 mg, 250 mg, 350mg, 550 mg, 30 ml, 1000 mg, or 1500 mg of crystalline CBD isolates and cannabinoids. Additionally, their products contain no THC. Bluebird Botanicals focuses on quality and purity as well as ethical business practices. They source using fair farming and labor practices in mind, sponsor charities and will grant discounts to individuals who are disabled, veterans, or low-income. Their CBD products are created with the same high standards as well. Their hemp is grown sustainably and organically in Colorado and extracted using an energy-efficient broad-spectrum extraction procedure via CO2 or alcohol extraction. Their CBD is put through third-party testing for purity and potency, and Bluebird makes their product batch results available directly on their website. A number of their products include herbal additives with anti-inflammatory, antioxidant and immunity-boosting properties. With great products and great business practices, it’s not surprising that Bluebird Botanicals was recently awarded “#1 Hemp CBD Company” at the Cannabist Awards. The best CBD for depression in Bluebird Botanicals’ inventory is their vape liquid, sublingual tinctures, and capsules. The CBD oil vape liquid, has 333 mg CBD per 10 ml bottle, in a base of Vegetable Glycerin and Propylene Glycol. Those looking for acute relief will appreciate their vape liquids- when vaped the therapeutic properties of the CBD enter the bloodstream more rapidly. Bluebird’s oral CBD tinctures (aka “concentrates”) are another great choice of CBD for depression and come in several doses and formulations. The “Classic” blend is the most simple of these: hemp extract in hemp seed oil. “Complete” has the same, plus a comprehensive mixture of raw and heated cannabinoids and steam-distilled hemp terpenes. The “Signature” blend has all of these, along with wildcrafted frankincense serratta CO2 extract, and cold pressed black seed oil, a potent antioxidant. Some individuals have reported that black seed oil is helpful with depression, anxiety, and even PTSD. All three blends are offered as regular extracts (250 mg CBD) or concentrated (1,500 mg CBD) extracts. Capsules are another great delivery method for individuals taking CBD to combat depression. They’re also very travel-friendly. The story behind Charlotte’s Web is a young girl named Charlotte Figi. Charlotte had a rare seizure disorder. After years of trying modern medicine to no avail, her parents turned to a new strain of high-CBD hemp extract designed by the Stanley brothers. 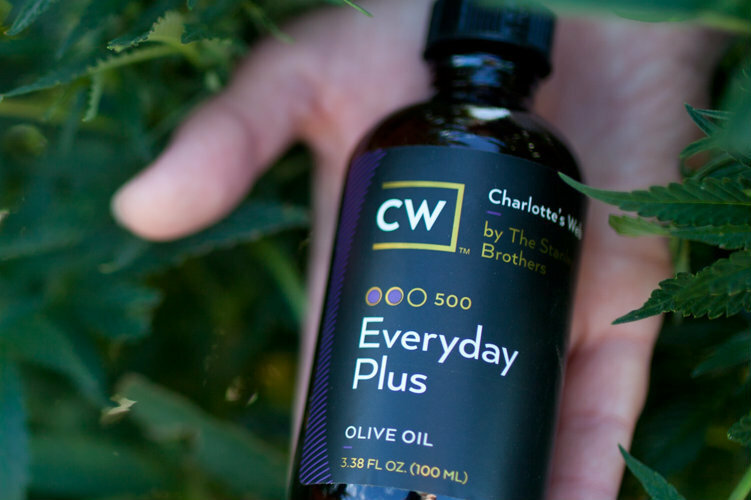 Charlotte made a miraculous recovery thanks to this high-CBD hemp strain and thus the name “Charlotte’s Web.” The brothers based their company of the same name around creating health-focused CBD products derived from this strain. Today, families of children with seizure disorders and other disorders may receive discounts on CW products. Charlotte’s Web is an excellent choice for any individual who is looking to turn their life around. Their hemp is grown organically and sustainably in Colorado and put through a gentle, broad-spectrum extraction process. The best CBD products for depression offered by this company are Charlotte’s Web oil tincture, capsules, and vape. All CW oils are available in sweet mint chocolate and in a variety of serving sizes. The capsules are great for individuals who travel or anyone who is just more accustomed to dosing using a tablet. The company sells capsules in 15mg and 35mg doses. Kat’s Naturals is unique in their emphasis on synergistic compounding, as well as high-quality extraction. The company uses specific strains of hemp to address particular health concerns, bred for a specific cannabinoid profile. These are enhanced with organically and sustainably grown, therapeutic-grade, and third-party tested essential oils, formulated to address the same target issues, such as mood or immunity. Their oils are also exceptionally pure. Most companies’ CBD oils contain up to 0.3% THC (the legally-required limit, which is not enough to be psychoactive, but enough to potentially show up on a sensitive drug test). Many of the products from Kat’s Naturals, however, are 100% THC-free. That being said the “Balance” utilizes a full-spectrum extraction-method and as such will contain trace amounts of THC. The company’s source hemp is cultivated on Dutch organic farms, and processed using a critical CO2 extraction, before being blended with whole-plant organic hemp oil. The final product is rich in omega-3 and omega-6 fatty acids, linoleic acid, and alpha-linolenic acid, which boosts the immune system. To support the immune system and promote calm, a great choice of CBD for depression is “Heal,” their most popular and most potent product. This oral CBD oil tincture is blended from 1,500 mg pure CBD isolate, organic hemp seed oil, and organic peppermint essential oil, which soothes the stomach and can help combat nausea. We also love the synergistic blend found in “Relax” which contains hops yet another botanical in the Cannabaceae family that is also high in Mycrene. Mycrene is a terpene that helps regulate mood and induce a sense of calm. “Relax” is great for individuals losing sleep from depression, and for individuals who suffer from anxiety in addition to depression. Another more fast-acting option is their 300 mg/oz CBD CBD vape liquid, which comes in 30 ml or 15 ml bottles. Kat’s Naturals also sells complete vape kids and even a pre-filled vape pen cartridge. Elixinol has been around since 1991, not as a CBD oil, but as a hemp bar. And since then has made a commitment to selling hemp-based health products in a wide variety. Customer may want to try their tinctures, capsules, sprays, vape liquids, foods, or body balms. All of their products are researched by a team of medical professionals. Elixinol’s source hemp in the US, Australia, and Europe and subjected to a high-pressure low-temperature CO2 extraction method. All CBD is then tested in house and by third-party impartial labs. Consumers are welcome to view lab results directly on their website. In addition, customer’s will appreciate that 5% of their purchase is donated to a charity of the customer’s choosing, with options at checkout including the research and treatment of autism, brain tumors, and wounded veterans. The best CBD items for depression in the Elixinol inventory are the company’s oral tinctures,capsules, and vape pens. We also like their “X-Pen” that comes pre-loaded with 1000mg of CBD for individuals who are looking for precision when dosing. Each click of the pen delivers 15 mg of CBD. 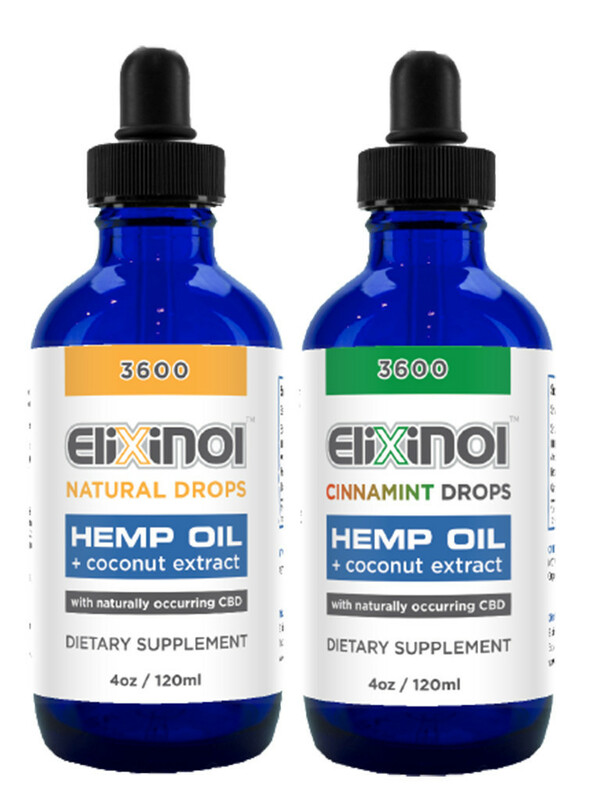 Their oral tinctures are great for individuals looking for higher doses as Elixinol offers two 3600 mg products. Individuals living in Brazil have access to their 5000 mg product. Our Recommended Product for Depression: X-Penand CBD Oral Tincture, with dosage based on user’s level of CBD oil experience. 4 Corners Cannabis is not about neon lights, they are all about making great products and educating the public. The company goes to great lengths to educate consumers as to the importance of the “Entourage Effect” and its role in their product formulations. The term was coined by a pair of Israeli scientists in 1998 and explains how otherwise inactive compounds present in both marijuana and hemp enhance the psychoactive and therapeutic effects of cannabis when included in preparations, producing a synergistic outcome. This is the reasoning behind the use of whole-plant, rather than ultra-refined, CBD extracts, which is a top priority for 4 Corners CBD. The company extracts its CBD through “cradling” in organic, food-grade ethanol, and tests their extracts in-house for potency. 4 Corners employ their own proprietary strain, organically cultivated on their own farm in Colorado- controlling every step of the process from seed to sale. The best CBD for depression in their product line is their vape liquid and oral tincture. The vape liquid comes in 1,000 mg per bottle and has a mild and sweet “hash oil” flavor. These versatile drops can also be taken orally. 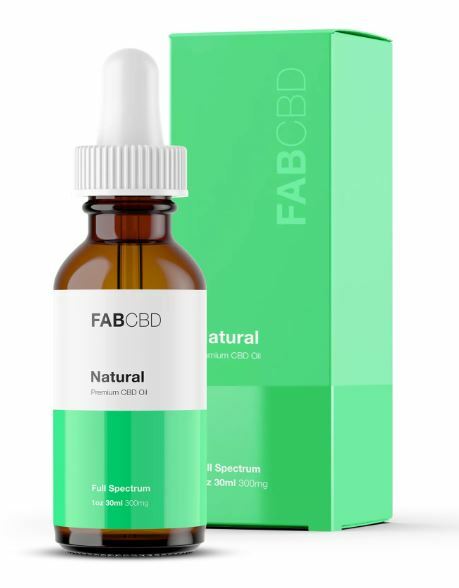 Those who want just an oral preparation can try the CBD tincture, which comes in concentrations of 250 or 500 mg per 15 ml bottle, or 1000 mg broad-spectrum CBD per 30 ml bottle. In addition, the blend is also formulated with MCT Oil, CBD-dominant hemp oil, and anti-inflammatory Limonene (orange extract). Individuals seeking immediate relief may want to try their vape, while those looking for long-lasting, sustained relief may want to choose their oral tincture. Our Recommended Product for Depression: CBD Oil Dropsand Vape Liquid, with dosage based on user’s level of CBD oil experience.